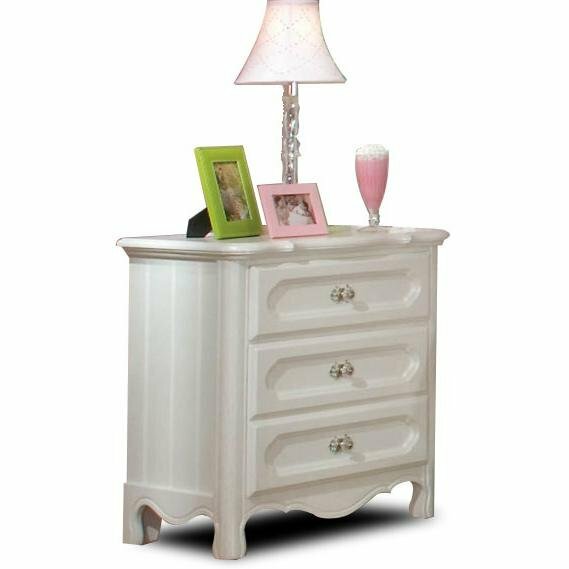 Now at RC Willey, the stunning white finish and classic design the Adrian collection is sure to be a timeless addition to your child's bedroom. 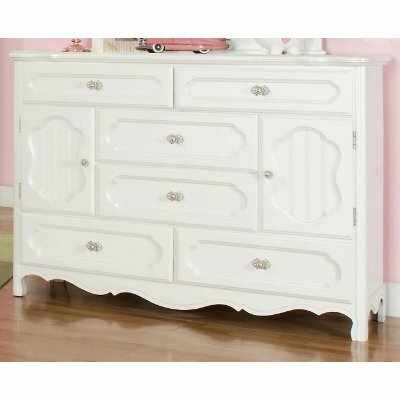 Includes sleigh headboard, footboard, rails, dresser, mirror, and nightstand. Chest sold separately. Now at RC Willey, the stunning white finish and classic design this full sleigh bed from the Adrian collection is sure to be a timeless addition to your child's bedroom! Adrian White Classic 4 Piece Full Bedroom Set is rated 4.3 out of 5 by 6. 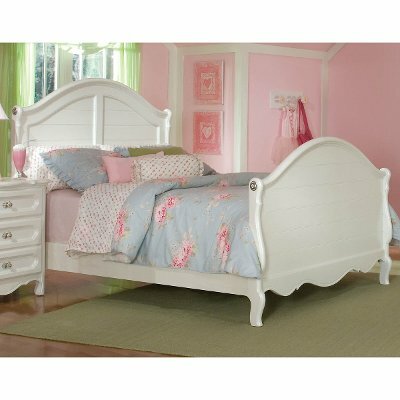 Rated 5 out of 5 by Deba Perfect girls bedroom set Lasted my daughter 7 years so far. Great investment and still looks new. Very sturdy. Was looking online and wasnt surprised to see its still being sold. Rated 5 out of 5 by getthedeal awesome Best product for an unbelievable value. My daughter just loves everything about it. Rated 5 out of 5 by Derby33 Adrian bedroom set We bought two of these sets for my daughters. They absolutely love it. Thanks for the great hospitality that RC Willy showed to me and my family. Rated 1 out of 5 by Angry4LG CRACKS EVERYWHERE I bought this set for my daughter and loved it's design and price. When it came the foot board was cracked and R.C. Willey replaced. Now after about a year there are cracks everywhere. 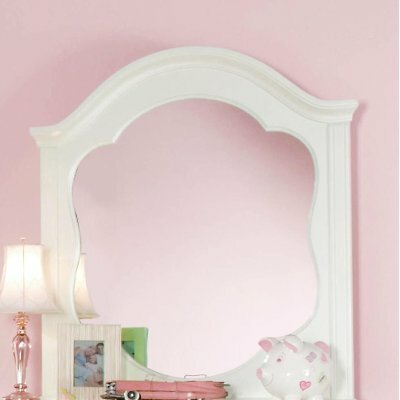 On the mirror, all over the head board and foot board, inside the storage areas in the dresser. I am VERY unhappy with this product. From a distance it is beautiful, but up close it has noticeable cracks EVERYWHERE! I wouldn't buy this again, nor would I recommend it to anyone. Rated 5 out of 5 by Cahutc84 Princess Bedroom My husband and myself decided to give our oldest grand daughter a new bedroom set for her birthday. We chose the adorable white set that we found on the show room floor. We had the set delivered and she was so surprised to come home and find her new bedroom set. The first thing she said was "It is just like the princess's bedroom." The doors on the dresser open and have spaceous shelving, which she decided would be her dolls new bedroom. All of her dolls are now sleeping in the dresser.